Last book club meeting of the year! RSVP HERE. ​Valid ID required for entry! 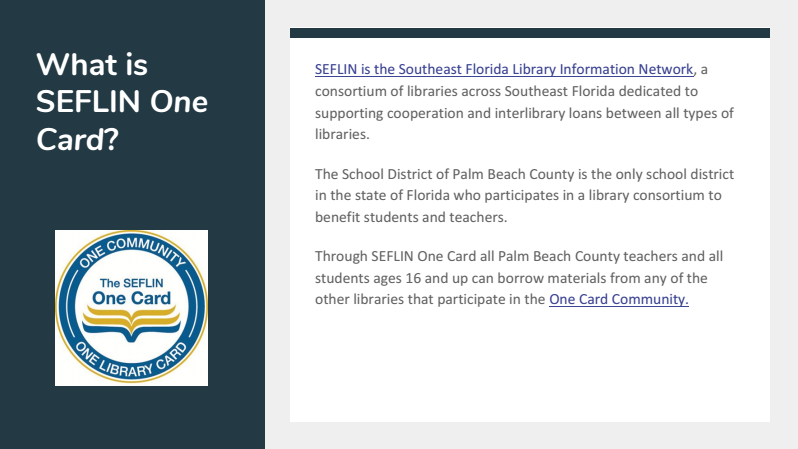 Did you know that you can borrow library materials from other libraries with a SEFLIN one card? Great for dual enrollment students who need to check out books at their colleges! See Mrs. Radic if you need one! Don't have time to visit our library during school hours? 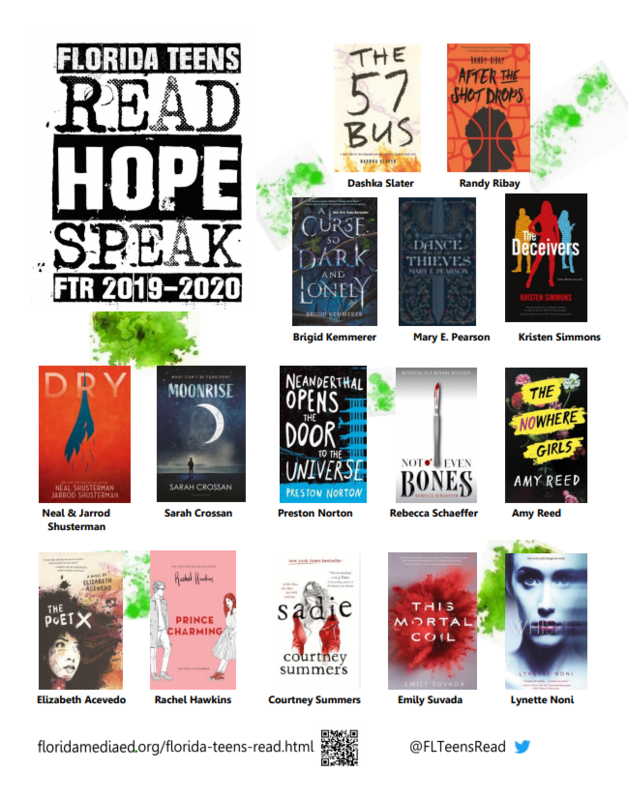 Read online with your school credentials! Use this form to contact Mrs. Radic. ​Request a book and if we add it to our collection you will be the first to read it! You can also leave any comments or suggestions on how to improve our library.